But, I wanted to share it again for a few reasons. First, it’s fun and we play it often. Second, it’s easy to do and it’s a great way to get outside. 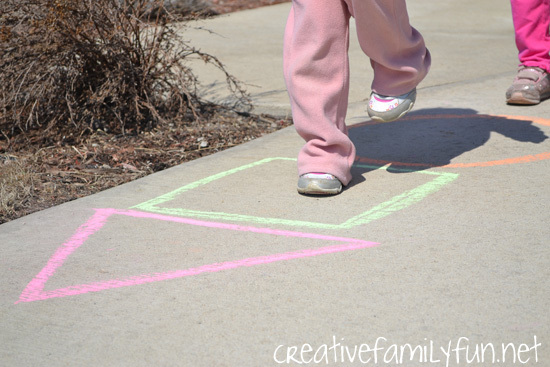 And third, both toddlers and preschoolers will love learning their shapes with a simple game of hopscotch. 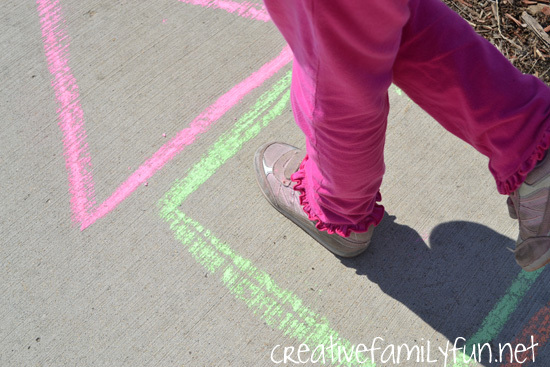 Grab a few fun colors of sidewalk chalk and a bare spot of cement. 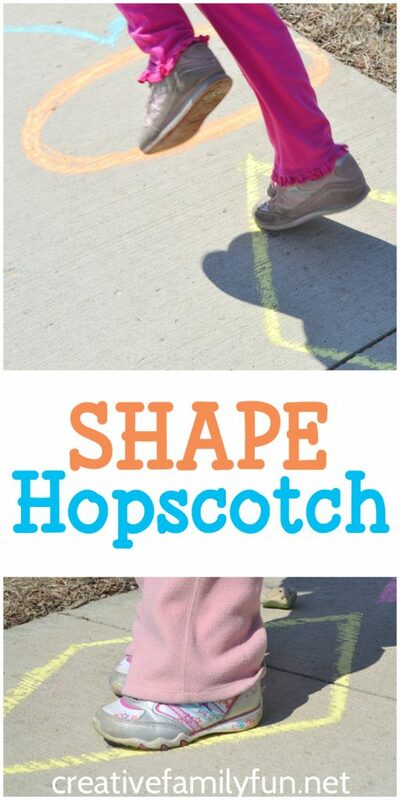 Draw several shapes in a line; the same as you would do for a regular hopscotch game. Find a couple of rocks, grab the kids, and start playing. For our version, the girls took turns throwing their rock. They had to hop to the shape closest to their rock. They practiced jumping on one foot and they also had to name each shape as they landed in it. For these two, the hopping on one foot was a much bigger challenge than naming the shape. You can mix this game up as much as you want. If you’re playing with toddlers, just have them jump (or run) to each shape and then name the shapes as they stand in them. Or, call out a shape and have your kids run to that shape. 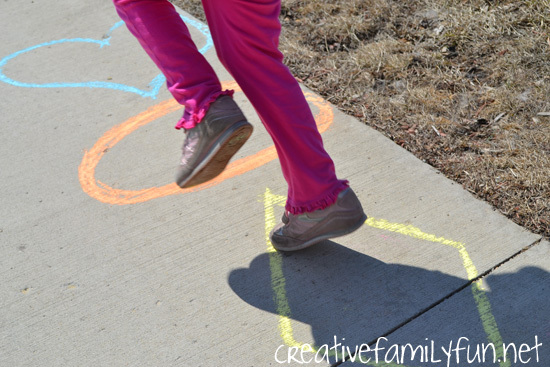 Practice your gross motor skills by hopping, standing on one foot, skipping, etc.The possibilities are endless. The best part is that it gets you outside and gets your kids moving! 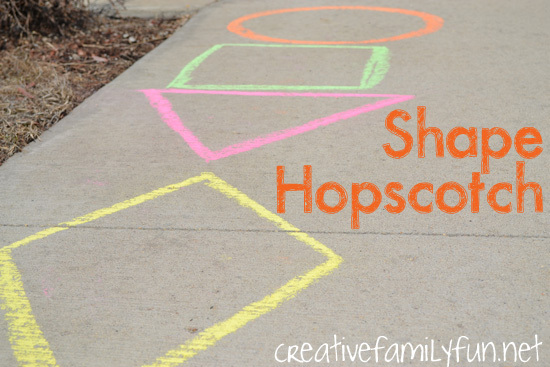 Have you ever played shape hopscotch? Originally published April 3, 2013. Updated September 11, 2017.